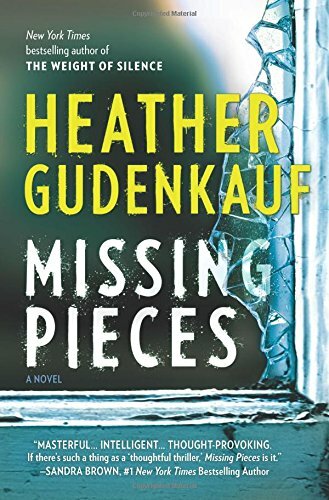 When perusing NetGalley I chose Missing Pieces primarily because it’s protagonists were from the state of Montana, of which I am a proud native. There aren’t many contemporary novels based in Montana. Our visit to Montana is very short though as we are quickly placed on a plane to Ohio. There begins the mystery surrounding the Quinlan family. Sarah is a journalist with the chops to dig into a person’s history and the people skills to draw others into sharing information with her. She has a sharp eye and strong intuition. In a semi-retired state, Sarah is writing a weekly advice column. She quickly shows that her hard-hitting investigative journalism skills are still sharp. Sarah is highly capable of researching and solving the Quinlan family mystery. This process is painful for Sarah as she discovers how little she really knows about her husband. Her revelations anger her over and over. Here is where I start bouncing back and forth between agitation and understanding of Sarah’s relationship to her husband Jack. It is true that it is always easier to see what is wrong in other people's lives as opposed to seeing the problem in ours. Can we really ever know another person? Even one we are married to? There is nothing happy in this book. Murder, fear, tragedy, concealed relationships, secrets, and the pain caused by them all. A picture of the human condition.